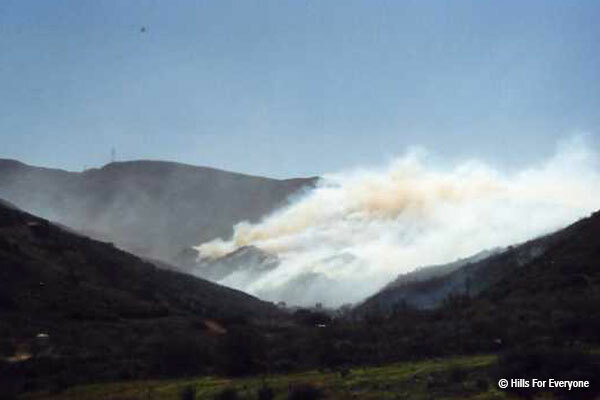 Below are other research papers focused on wildfires and their impacts to habitats, including the Puente-Chino Hills Wildlife Corridor. A new scientific review and five major studies now refute the often repeated notion that past fire suppression and “unnatural” fuel build-up are responsible for large, high-intensity fires in southern California. 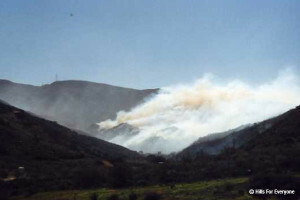 Such fires are a natural feature of the landscape. Fire suppression has been crucial in protecting native shrubland ecosystems that are suffering from too much fire rather than not enough. The research has also shown that the creation of mixed-age classes (mosaics) of native chaparral shrublands through fuel treatments like prescribed burns will not provide reliable barriers to fire spread; however, strategic placement may benefit fire suppression activities. hazardous parts of the landscape. Though fires are a natural part of the ecosystem, there is nothing natural about the size and frequency of the fires destroying our wildlands year after year. This study is the culmination of research that documents a near 100-year fire history (1914-2011) in and around Chino Hills State Park. Fire perimeters and points of origin are used to articulate the problem months, weather conditions, and “hot spots” of fire ignition. A feature of this study also includes digital datasets for the public, agencies, and jurisdictions to interact with via Google Earth.